Who Are the Major Players in the Alberta Energy Market? When you think of the energy market in Alberta, you probably think of your gas retailer or retail electricity provider. After all, these are the companies you do business with on a monthly basis to ensure your gas and electricity needs are met. But these services providers are only a single component of the broader market as a whole. This article aims to provide you with insight into the gas and electricity markets in Alberta so you can learn more about how the system works and who the major players are. Alberta's gas market has been deregulated since 1985, and while some of the players on this list predate that period, others have been directly created by the development of energy choice. Here are some of the major players you need to know to better understand how Alberta's gas market works. The Alberta Utilities Commission regulates the natural gas and electricity markets in Alberta. According to its website, the commission's goal is to "protect social, economic, and environmental interests in Alberta where competitive market forces do not." Regulatory functions are administered through written and oral proceedings, and the commission also monitors the building, operation, and decommission of electric facilities to ensure the process is handled in an environmentally friendly way. The Alberta Energy Regulator is responsible, along with the Department of Environment, for regulating the production of natural gas in Alberta, including the province's 181,300 wells and 415,000 kilometers of pipelines. The AER also has the authority to extend approvals under public lands and environment statutes relating to energy resource activities. Gas producers are responsible for just that: producing the gas that is sold on the energy market. Gas producers sell the gas at the wellhead, a gas processing plant, a gas transmission system, a storage facility, or directly to the consumer. NOVA is the gas pipeline network used to transport natural gas from the wellhead to processing plants. The NOVA network extends across the province and the rates and tariffs placed on the system are regulated by the Alberta Utilities Commission under the provisions of the Gas Utilities Act and the Pipeline Act. The NGX in Alberta and the New York Mercantile Exchange (NYMEX) in the United States are the locations where future gas prices are set, based on the laws of supply and demand. These platforms don't set the prices themselves, but instead provide an open exchange floor for prices to be determined. Working as the consumer's representative, the Office of the Utilities Consumer Advocate is responsible for handling complaints made against utilities companies or energy retailers. The office works to protect consumers and to provide them with information ahead of time to assist citizens in making smart choices in the deregulated energy market. Your natural gas retailer is the company responsible for providing you with your natural gas service. When you sign a contract with a natural gas retailer, you will pay a fixed or variable rate per gigajoule for the length of the contract. Your retailer purchases gas from the gas supplier and ensures it's delivered to you while handling billing and customer service responsibilities. At the end of your contract, you will have the choice to sign a new contract with your current natural gas retailer, shop for a new natural gas retailer in the deregulated energy market, or you may choose to receive gas services from a regulated provider. Like the natural gas market, the electricity market in Alberta is also regulated by the Alberta Utilities Commission, and consumers are represented by the Office of the Utilities Consumer Advocate. But there are other players unique to the electricity market, and here is a list of those you should know. The AESO is responsible for operating power pool in the province. Power pool is the wholesale energy market where the price is set each and every hour based on the metrics of supply and demand. The AESO was established by the Alberta Electric Utilities Act, and the majority of electricity in the province flows through the pool it operates. Power generators are responsible for harvesting the electricity used by consumers and businesses in the province, and while they are regulated by the AUC, they are allowed certain freedoms. The AUC ensures that power generators comply with environmental, design and safety standards, but power generators are free to generate power where they please and set their own rate of return. Power generators also must compete against one another to sell their electricity in the power pool, which helps control prices. The power-generating companies create the power, but it is the responsibility of power distributors and transmitters to see that the electricity reaches consumers. Known as "the wires business," there are actually two facets to the industry. Power transmitters harness power from the generators and transfer it to load centers. 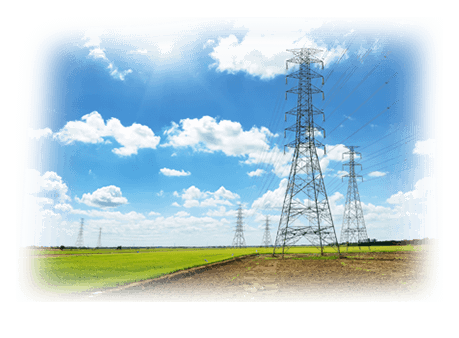 From there, power distributors provide the electricity to appropriate paying customers. While the majority of the grid is owned by private, for-profit companies, the ASEO handles planning and operation. Distribution systems are often owned by the area municipalities and their public utilities departments. Just as they do in the deregulated natural gas market, retail electricity providers ensure energy service is provided to consumers. It is your retail electricity provider who handles your billing, sets up your service and provides customer service for any questions you have along the way. Consumers in the Alberta electricity market can either choose to sign a fixed plan with a retail electricity provider. or they can choose not to sign a contract and do business with the default supplier in their region. The Market Surveillance Administrator (MSA) in Alberta is responsible for making sure the natural gas and electricity markets play fair and operate correctly to the benefit of the consumer. The purpose of the MSA is to establish, support, and promote cooperative competition in the province's energy markets. These are the major players in the gas and electricity markets for the province of Alberta. You can learn more about the deregulated Alberta energy market by visiting the Office of the Utilities Consumer Advocate website.